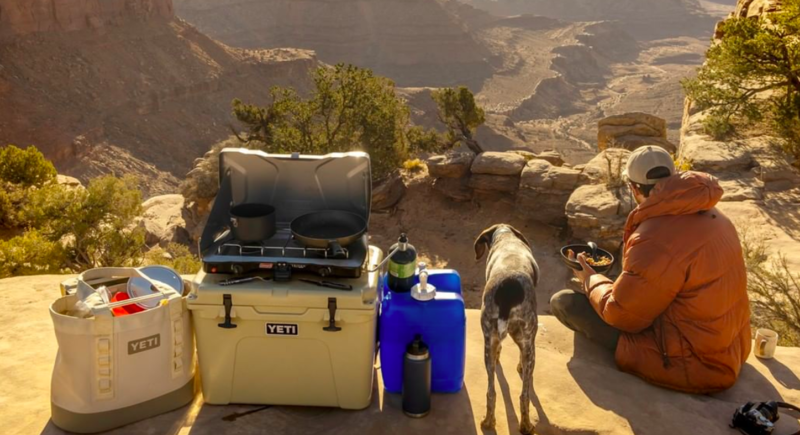 Yeti Holdings Inc. raised its full-year guidance for earnings and sales after reporting preliminary results for the fourth quarter. Net sales increased 19 percent to $241.2 million. Net sales in the direct-to-consumer (DTC) channel increased 45 percent to $110.5 million, and net sales for the wholesale channel increased 4 percent to $130.7 million. Drinkware net sales increased 24 percent to $143.5 million, and Coolers & Equipment net sales increased 10 percent to $91.2 million. Net sales increased 22 percent to $778.8 million., Yeti’s guidance had called for net sales to increase between 19 percent and 20 percent. Drinkware net sales increased 37 percent to $424.2 million, and Coolers & Equipment net sales increased 6 percent to $331.2 million. Operating income as a percentage of net sales is now expected to be 12.9 percent to 13.1 percent (versus the previous outlook of 12.8 percent to 13.1 percent), as compared to 10.0 percent last year. Adjusted Operating Income as a percentage of net sales is now expected to be 15.7 percent to 15.9 percent (versus the previous outlook of 15.2 percent to 15.5 percent), as compared to 11.9 percent last year. Net income per diluted share is now expected to be $0.67 to $0.69 (versus the previous outlook of $0.60 to $0.64), as compared to $0.19 last year, representing an increase of 253 percent and 263 percent, respectively. This assumes an effective tax rate of approximately 17.5 percent and approximately 83 million diluted weighted average number of shares outstanding. Adjusted Net Income per diluted share is now expected to be $0.88 to $0.90 (versus the previous outlook of $0.79 to $0.82), as compared to $0.28 last year, representing an increase of 214 percent and 221 percent, respectively. Adjusted EBITDA is now expected to be $147 million to $149 million (versus the previous outlook of $141 million to $144 million), as compared to $97.5 million last year, representing an increase of 51 percent and 52 percent, respectively. Capital expenditures are still expected to be $21 million to $24 million, as compared to $42.2 million last year. Reported results are unaudited, preliminary, and reflect management’s estimates based on information available as of the date of this press release and is not a comprehensive statement of the company’s financial results for the fourth quarter and year ended December 29, 2018. The company’s actual results for fourth quarter fiscal 2018 and fiscal 2018 may differ from these preliminary results due to the completion of the company’s financial closing procedures, final adjustments and audit process. As previously announced, the company will be participating at the 21st Annual ICR Conference held at the JW Marriott Orlando Grande Lakes in Orlando, FL, on Monday, January 14, 2019, with a fireside chat presentation at 1:00 pm Eastern Time.